MAN v FAT Review | Buy or a Scam? 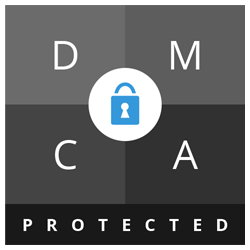 Page updated Apr 3, 2019. First published Jan 31, 2019. With many diet plans being orientated towards women (and getting bikini ready), and fitness magazines promoting heavyweights, intensive exercise programs, and discussing how to maximise your muscle gains, it is unsurprising that some men feel overlooked when it comes to learning how to fight obesity. This theory was the inspiration behind MAN v FAT, a weight loss guide for men sold on Amazon. What Does MAN v FAT Claim To Do? MAN v FAT: The Weight Loss Manual is a practical approach to dieting, weight control, and health, designed as an introductory guide to weight loss for men. It does not put forward any particular diet plan of its own, but goes through a number of the most popular diet plans out in the world, breaking down the pros and cons of each, and helping the reader to work out what plan might work for them the best. Unlike many of the diet plans we have reviewed in the past, MAN v FAT does not promote a one-size-fits-all guide. The books also places great significance upon the reasons why we gain excess weight to begin with, before starting on Stage 2 (learn how to lose weight) and finally, stage 3 (create a winning structure). It also provides plenty of success stories from men who have managed to lose significant amounts of weight. Who Wrote MAN v FAT? 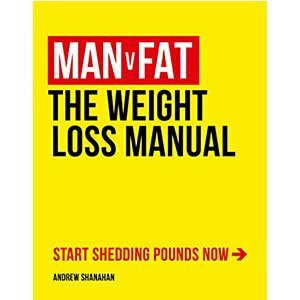 MAN v FAT is written by Andrew Shanahan, a journalist and author who has struggled with the world of dieting and weight loss in the past. After taking a picture of his stomach to send to a friend and becoming increasingly unhappy with the contents of the picture, he tried to find out how to lose weight. He found that he fell into a chasm between two huge industries, the weight loss industry that is geared heavily towards women, which left him feeling overlooked and unrepresented, and the fitness industry, which promises a six-pack in just 6 weeks, but fails to provide for the “average man” who just wants to lose some weight (and not strive for an “Adonis” body). In response, he launched a free weight loss magazine geared towards men, started a podcast, and wrote MAN v FAT back in 2014. The Man v Fat project has also led to the launch of numerous football teams and community projects in the UK which brings male dieters together to get active and fitter in a fun environment. Does The Advice In MAN v FAT Work? We definitely agree with this mantra. There is a lot of information provided in the book, as it goes over what is involved in numerous different diets, but this, we believe, ultimately increases the reader’s chances of weight loss success. This is because the reader can personalise the provided information to their own needs and dietary preferences. As with most diet books, readers need to be honest with themselves and need to be determined to succeed. What Are The Drawbacks Of MAN v FAT? Some readers have complained that this book is too simplistic and that it is a “manual of the obvious”; for anyone who has done previous research into dieting before, or who has a good understanding of nutrition, then this book may indeed be too simplistic. We also advise that bodybuilders and people who are trying to lose those last few pounds towards the end of their diet journey avoid this book. The greatest drawback to this book is also its greatest strength; it has been designed and written, 100%, with a man who knows nothing at all about dieting in mind. The book often refers readers back to other resources on the MAN v FAT website, which some people have found to be annoying. We recommend the kindle version of the book, which has hyperlinks to the relevant web pages (and is cheaper, always a bonus). Because this book only educates readers about other dieting systems, rather than putting forward its own, it is possible, even likely, that readers will need to purchase other products or memberships for the diet plan that they choose to follow. For example, one reviewer stated that this book helped him to choose Weight Watchers as his diet plan of choice; this requires a weekly membership fee to be paid. Reviews of this book are generally incredibly positive. As stated above, most of the negative reviews are written by people who seem to already be relatively well informed about dieting, and who therefore found it to be overly simplistic. At the time of writing, this book had 54 reviews on Amazon’s UK website, and 44 of them were rated 5 stars. There’s no doubt that this is the definitive book for men who want to lose weight and maintain their new slimline shape. Andrew Shanahan gets you to examine the reasons that you put on the weight in the first place, and to overcome them. The book together with his website […] provide motivation and effective advice on weight loss. It’s working brilliantly for me, so what better recommendation can I give? Edited in mid-August 2016: Amazon tells me that I bought this book at the end of January. ManvFat, both the book and the website, has been the key factor in my losing 55lb/25kg in only 8 months. And that’s just the story so far. Great book. No BS and no hard sell, just good, honest and impartial advice on all the diets that are available to try. Doesn’t treat you like an idiot, doesn’t judge you, and is written in a humorous style that keeps you engaged. How Much Does MAN v FAT Cost? MAN v FAT is available from the official MAN v FAT website, where a paperback copy costs £12 plus delivery charges. It is also sold from Amazon, where a paperback copy costs £12.99. The ebook, available on Kindle, costs £3.99. As a beginners guide to weight loss, this book appears to work well. Tailored for men who have no dieting experience or knowledge, and repeatedly described as no-nonsense in reviews, it could potentially help a lot of people. However, if you have well-formed and well-researched views about what your favourite diet is and why, then you might not find this useful at all (purely because it was not written for you). If you are unsure about whether or not it is worth the purchase price, take a look around the MAN v FAT website as an introduction to what you will find inside the book. If you are looking to be given precise instructions on how to lose weight, then you will likely be disappointed, as this is not really a diet in itself. Instead, it teaches you how to learn to diet and lose weight for yourself.